A famous coach is murdered in a crowded stadium. His most-prized possession—a ring set with the stunning Pink Panther Diamond—has vanished in the melee. The French government needs a master detective on the case, but the head of the Paris Police Bureau is unwilling to jeopardize his chances for the Medal of Honor with such a difficult, high-profile assignment. Surely Inspector Jacques Clouseau, a clumsy provincial gendarme with a knack for ignoring the obvious, could fill in without upstaging his superiors. Within seconds he proves his genius by narrowing the list down to just 60,000 suspects! 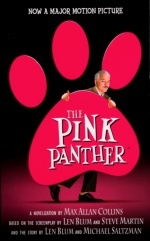 Pink Panther fans know Clouseau will recover the missing gem, bring a killer to justice, restore a Republic's damaged pride, and win the gratitude of an adoring nation. And he'll attempt to beguile the beautiful singer rumored to be at the center of the whole felonious affair. But the real mystery is how the bumbling detective will actually do it!